On Tuesday, Phish released their 12th studio album, Fuego. In celebration, the legendary jammers made their return to the Late Show With David Letterman after nearly a decade away, rocking the Ed Sullivan Theater for an unprecedented eighth time. 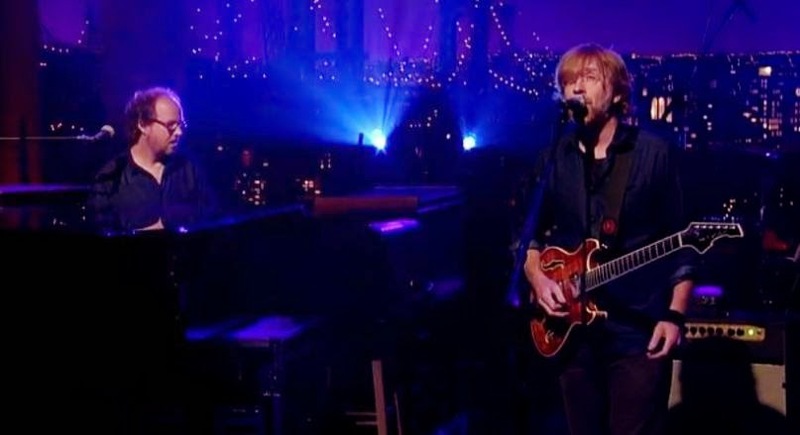 Trey Anastasio and the boys cooked up “The Line” for the show proper, but hung out at the Ed Sullivan Theater to perform for the Live on Letterman webcast series. There, over the course of a maddening one-hour set, they tore into Fuego tracks and past favorites alike, including “Undermind” “Carini”, “555″, “46 Days”, “Twist”, and more. Catch the replay of both performances below. Consider the Live on Letterman gig just a warmup for the band’s hot summer tour. Kicking off the first of July, the itinerary has them slotted multiple night engagements at major venues across the country. Consult the full docket below.